Doing so, you will be aware whether or not there are any negative items in the reports. 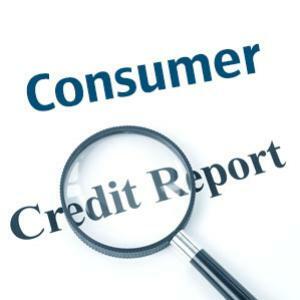 Do you check your credit reports at regular intervals? If not, then you should do it at least once a year. Doing so, you will be aware whether or not there are any negative items in the reports. There is a variety of other information available in your credit reports. They are discussed below. By going through the information, you can make yourself aware about the status of your accounts and inquiries if any. You should check each and everything in your reports to be sure that they are accurate. Your personal data – The first section of your credit report comprises of your personal data, such as your SSN (Social Security Number), your employment history along with your current and previous addresses. When you check your credit reports, make sure all these information are correct. When you discard your old credit reports, always discard it properly so that your personal information doesn’t fall into the hands of identity thieves. Otherwise, the fraudsters can open accounts in your name and you will come to know about them later, when the damage is done. Details of your accounts – Your credit report has detailed information about your accounts. It contains your name, account number, type of account, dates on which they are opened along with the status of each and every account. Every credit account has its payment history, the last date of activity on it and the contact information of the credit issuer. This section also contains the summary of your past-due accounts and the accounts with negative credit histories. Your credit history – The credit history of an applicant is also present in the credit reports. You can check from here the number of accounts you have, the type of accounts and the number of credit inquiries in the past 12 months. This section also contains the accounts that are past due along with the ones on which you are current. Collections on your accounts – The information is also contained in the credit report if any of your accounts is in collections. If you haven’t been able to make payment on any of your accounts and it had been sent to collection, then the information is contained in this section. Your credit report also contains information on wage garnishments, liens and other judgments in state, federal or county court records. Soft and hard inquiries – There may be 2 types of inquiries in your credit reports – hard inquiries and soft inquiries. Soft inquiries are generated when your current creditors check your account status; whereas, hard inquiries are generated when you authorize an organization to request a copy of your credit report. In this regard, you should know that a number of hard inquiries in your report usually have a negative impact on your credit score. Your credit report also contains information regarding how you can dispute any information in your report. If you need to dispute any information, make a copy of your report, underline the information and send it to the credit bureau along with a copy of proof that what you’re saying is correct. However, you should know that you cannot erase accurate negative information before 7 -10 years, depending upon the information. For example, a Chapter 7 Bankruptcy stays on your credit report for 10 years whereas, a delinquency on account stays for 7 years. Therefore, if you have such negative information, then try to add items in your credit report in order to make yourself creditworthy to your future creditors; and, with time, you’ll be able to prove yourself creditworthy and will be able to take out loans at favorable terms and conditions. Page loaded in 0.160 seconds.